Government holds its regular meeting in August 2018; Sports delegation of Vietnam fulfills its set target at ASIAD 2018; 11th Bui Xuan Phai Award Presentation Ceremony – For love of Hanoi are among the most outstanding information in the week. State President Tran Dai Quang together with his wife arrived in Hanoi on August 29, 2018, concluding his State visit to the Federal Democratic Republic of Ethiopia on August 23-25, 2018 at the invitation of President of Ethiopia Mulatu Teshome and his State visit to the Arab Republic of Egypt on August 25-28, 2018, at the invitation of President of Egypt Abdel Fattah Al Sisi. The visits have been successful in various aspects, serving it as the historical bridge in the friendly relations between Vietnam and Ethiopia and Egypt, because this is the first visit by a Vietnamese President to Ethiopia after 42 years of establishing the diplomatic relations and to Egypt right on the 55th anniversary of establishing the diplomatic relations. In Ethiopia, President Tran Dai Quang held talks with President Mulatu Teshome and had the audience with Prime Minister Aiy Ahmed and Speaker of the House of Federation Keria Ibrahim. 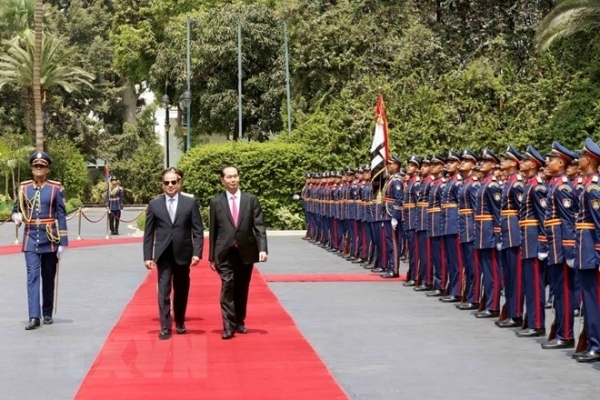 In Egypt, President Tran Dai Quang held the summit talks with President Abdel Fattah Al Sisi, President of the Parliament Ali Abdel Aal and Prime Minister Mostafa Madbouly. Having concluded his visits to Ethiopia and Egypt, the two sides issued the Joint Statements, putting forth the great orientations as the base for further enhancement of the bilateral cooperation between Vietnam and Ethiopia and Vietnam and Egypt in the coming time. Boosting the economic, trade and investment cooperation is the key point of this visit. On this occasion, President Tran Dai Quang visited the headquarters of the African Union and had the audience with the acting President of the African Union, Ms Amira Elfadil Mohammed Elfadil./. Speaking at the opening meeting on August 30, 2018, Prime Minister Nguyen Xuan Phuc said that the 12 targets over 12 targets assigned by the National Assembly to the Government could be achieved with GDP putting at 6.7%. Judging the social and economic situation in August, the Prime Minister said that it is better than that in 2017 with the macro economy being stable and inflation being reined in. The CPI in August 2018 has increased by 0.4% over the previous month. Trade surplus stands at USD 2.8 billion, while registered foreign investment capital is record high, being more than USD 24.8 billion, a 4.2% increase year on year. However, there are still some problems in existence such as infrastructure in bad conditions due to heavy rains and floods; traffic accidents have still happened and so on. GDP is possible to reach 6.7% and higher; budget revenue is 3% to 5% more than the estimate; public debt has decreased and inflation stands below 4%./. As of now, the Vietnamese Sports delegation has recorded excellent achievements with four gold medals, one gold medal more than the set target, while the male football team have cruised to the semi-final match. Among the achievements recorded by the Vietnamese sports at the ASIAD 2018, the male football team has for the first time cruised to the semi-final round, the only team in Southeast Asia could ever be able to do that. On the afternoon of August 29, the team met the South Korean team and lost with a score 1-3, so the team will meet UAR team for the bronze medal. The male football team has been commended by Prime Minister Nguyen Xuan Phuc for their great efforts. 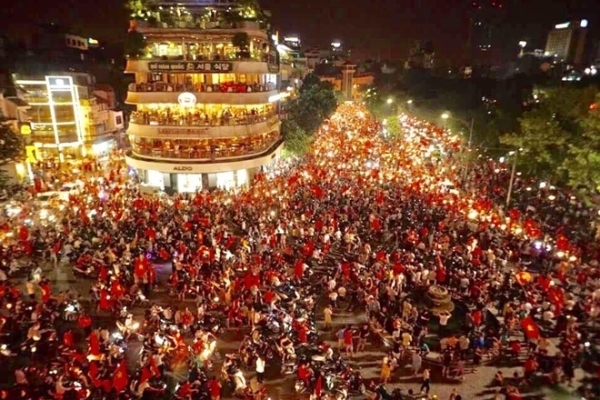 The football fans nationwide are very happy with what the Vietnamese footballers have done at the ASIAD 2018. They have taken to streets in big cities to celebrate the team’s victory over that of Syria to book the semi-final match./. The Prime Minister has just signed Decision 1072/QD-TTg on establishing the National Committee on E-Government on the basis of perfecting the National Committee on application of information technology. The Prime Minister will act as the Chairman of the Committee; Deputy Prime Minister Vu Duc Dam will be its Vice-Chairman. 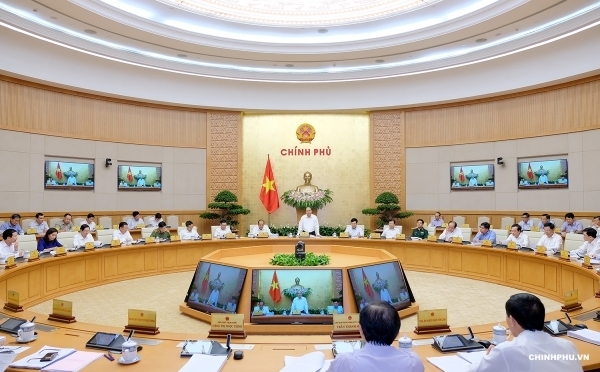 The Committee is tasked to study and propose to the Government and the Prime Minister about the policy, strategy, mechanism and guidelines so as to create the legal environment to boost the construction and development of E-Government, thus creating favorable conditions for implementing the Industrial Revolution 4.0 in Vietnam. The Committee also helps the Government and the Prime Minister to implement the criteria, tasks and solutions to build and develop the E-Government aiming forward to the digital Government, digital economy and digital society; it also helps the Government and the Prime Minister to coordinate and examine the implementation of strategies, programs, mechanisms, policies, schemes, projects and solutions concerning construction and development of E-Government. A working group has also been set up at the Governmental Office./. A ceremony to launch the Golden Book of Creativity of Vietnam 2018 was joint organized in Hanoi on August 30, 2018 by the Central Committee of the Vietnam Fatherland Front, the Vietnam Union of the Science and Technology Associations, the Ministry of Science and Technology and the relevant ministries and sectors. President Tran Dai Quang attended the event. The Golden Book of Creativity of Vietnam 2018 has gathered together 73 schemes and creative solutions typical in the scientific and technological areas. 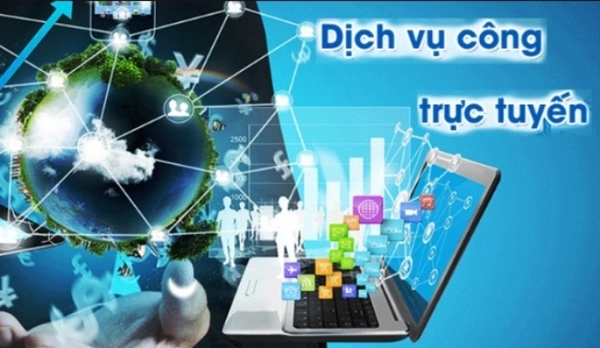 The coming into being of the Golden Book of Creativity of Vietnam is aimed at dissemination information and commending the creativeness in the scientific and technological areas; affirming the creative abilities of the Vietnamese at home and abroad in the economic development and the national building and defense. President Tran Dai Quang on behalf of the leaders of the Party and State, congratulated the authors and groups of authors who have contributed their scientific and technological projects and solutions which have been effectively applied in various fields. On this occasion, an emulation movement is lauched to welcome the Congress of the Vietnam Fatherland Front at different levels for the 2019-204 term./. 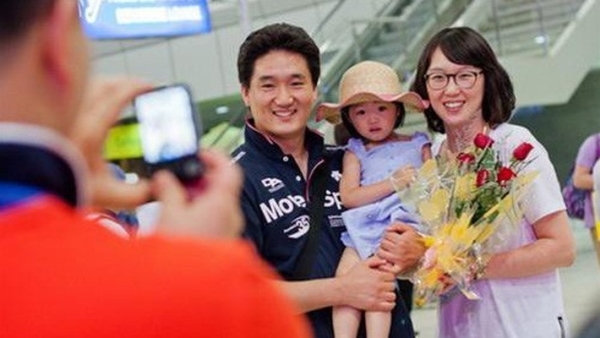 Tourists from the Republic of Korea to Vietnam have increased by 52% year on year, reaching 2.2 million tourist arrivals in 8 months of 2018. According to the General Department of Statistics, international tourists to Vietnam in August of 2018 are estimated at 1.3 arrivals, a y.o.y 11.3% increase, and in 8 months, it is estimated to have 10.4 million tourist arrivals, a y.o.y 22.8% increase. Worthy of note is the sharp increase of South Korean tourists coming to Vietnam, a 52.4% increase year on year with 2, 28 million tourist arrivals. As for tourists from Europe, the number of tourists from Russia has increased by 7.5%; from the UK, 6.7%; France, 10.6%; Germany, 7.9% and Holland, 8.4%. The number of tourists from America has also increased by 12.6% to 636,4000 arrivals, in which tourists from the USA have amounted to 486,000 arrivals, a 14.5% increase. The number of tourists from Australia is 266,500 arrivals, a 8.1% increase year on year./. On August 26, 2018, 19 Robocon teams from 18 countries and territories in the Asia-Pacific region participated the final round of the ABU Robocon 21018 competition organized in the Gymnasiums, Ninh Binh Province. Vietnam has two teams, LH – Galaxy and LK ATM Lac Hong University. With the champion title this year, Lac Hong University is the three-time champion in the ABU Robocon competition and Vietnam is the champion for seven times of this competition. The first runner-up title belongs to the Chinese team and the Japanese and Cambodian teams are the second runners-up of this competition. The ABU Robocon competition is to be organized in Mongolia under the theme: “Knowledge Sharing”./. 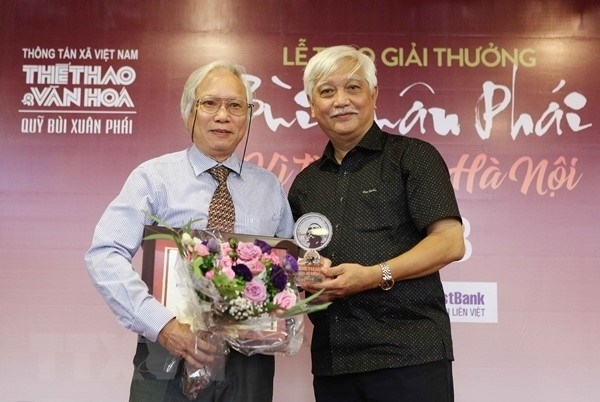 The 11th Bui Xuan Phai Award – For the Lover of Hanoi was organized in Hanoi on August 29, 2018. There are 40 files sent to the Jurors’ Council this year. After two rounds of selection, 12 files entered the final and in the end, there are 6 awards presented to 4 items: The Grand Prix, the Works Prize, the Idea Prize and the Job Prize. The Grand Prix this year was presented to Nguyen Ba Dam, 96. The Idea Prize was handed to Assistant Prof. Nguyen Van Huy and the scientists for their idea about conservation and promotion of the Banana Garden relics. 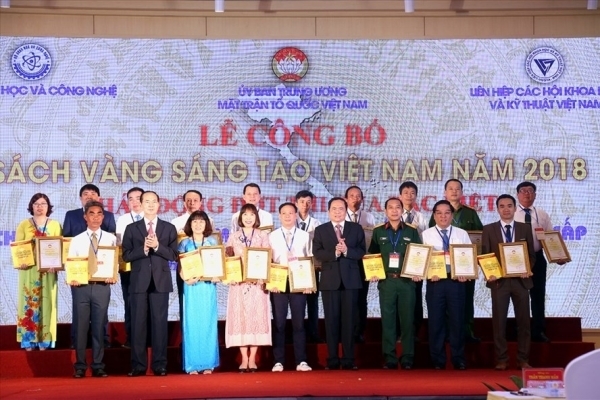 The Fresco Street Phung Hung is awarded for the construction of the Fresco Street Phung Hung jointly implemented by the Hoan Kiem District’s People’s Committee, Korea Foundation and UN-Habitat. As for the Works Award, the organizing board presented two prizes: one for the “I still have you” poetry by poet Phan Vu and “Mon Hanoi” film by ex-Ambassador of France in Vietnam, Jean Noel Poiriter./.